It was a night of nostalgia as RISER Inc. held its third concert for a cause dubbed as “Back to the Future: Evolution of Music, Technology, and Development” with Riser Inc. Band singing and dancing to the songs of the 60’s to early 2000’s for the Benefit of Bantay Bata 163. The event also served as the launch of the company’s latest album entitled Buhay-Riser. Since 2013, the construction company has been conducting concerts for a cause in which Bantay Bata 163 has always been the beneficiary. For its President and CEO Engr. Jun Isais, he believes that the concert is a celebration meant for the spirit of sharing. “It is said that, ‘Love only grows by sharing, and you can only have more for yourself by giving it away to others’”, he adds. Thank you, RISER Inc. for your unwavering support to the Filipino children! Riser Inc.’s President and CEO, Engr. 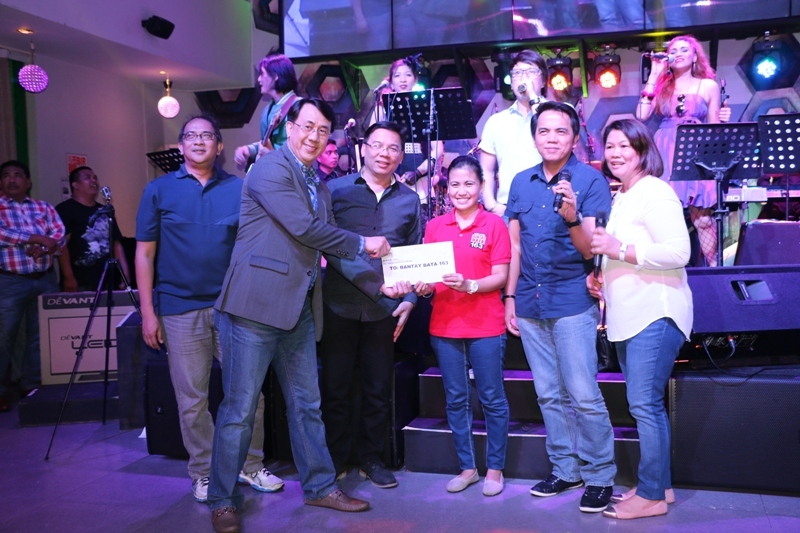 Jun Isais handing over their donation from Riser Inc.’s Concert to Freda Agustin, Bantay Bata 163’s Senior Resource Mobilization Officer, together with the sponsors of the event.